NOW That’s What I Call Supplements! How many NOW Musics are we up to now? 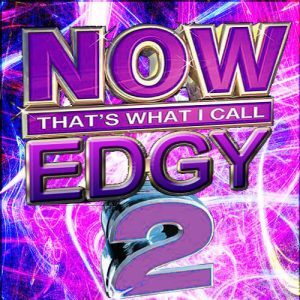 Do they even still make those albums anymore? NOW’s supplements are essentially the NOW Music of nutrition, as the numbers keep stacking up — some products good, others bad. Many are just …why? Upon initial inspection, NOW Brain Elevate could land anywhere along that spectrum: it seems to get a few nootropics right, but I do have question — such as how do the ingredients stack up together? Let’s hit the review to find out. Who Takes NOW Brain Elevate? Conclusion: Does NOW Brain Elevate Work? 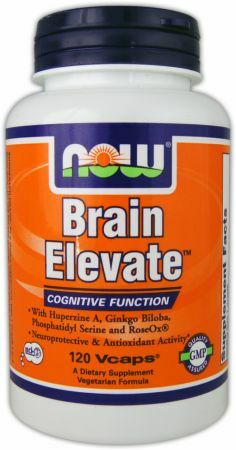 Brain Elevate is a NOW Foods supplement designed to “support healthy cerebral functions” seemingly for the older crowds. 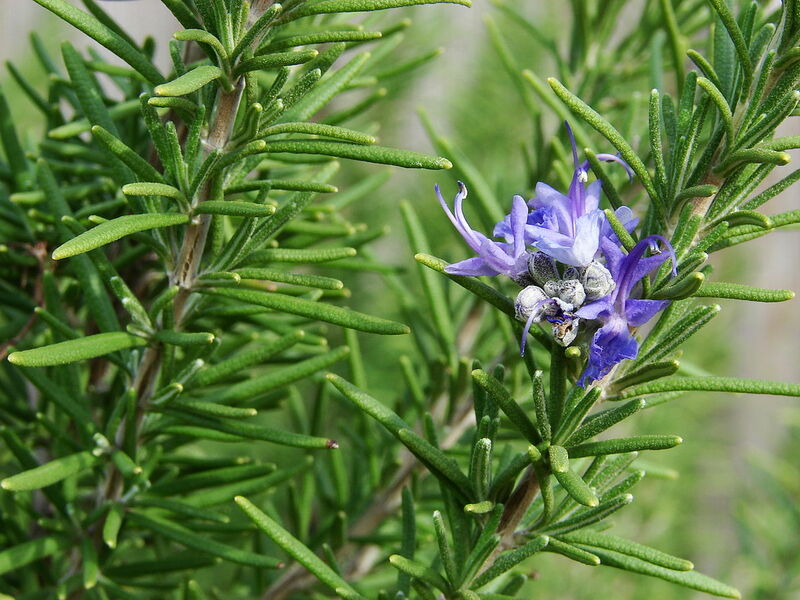 Herbal extracts of ginkgo, rosemary, & gotu kola convert these traditional health enhancers into potent health enhancers. NOW Foods shells out the bigger bucks for trademarked ingredients (RoseOx® & LECI-PS®), while keeping Brain Elevate’s price small. Other Ingredients: Cellulose (Capsule), Magnesium Stearate (Vegetable Source), Rice Flour, and Silica. Directions: As a dietary supplement, take 1 Vcap 1 to 2 times daily. Do not exceed dosage without advice of a physician. Ginkgo Biloba Extract – Ginkgo for the blood flow — this ancient nootropic aids circulation by making blood cells less “sticky,” increasing oxygen & nutrient delivery to the brain whilst improving working memory as well. More on Ginkgo Biloba. Rosemary Leaf Extract (as RoseOx®) – Interesting, guys… RoseOx is a lipid-soluble extract of rosemary, designed to enhance the antioxidant capacity of rosemary leaves for significant protection against free radical damage. Not necessarily a nootropic but healthy all the same. Phosphatidylserine (as LECI-PS®) – Patented soybean extract of phosphatidylserine at an absurdly low dosage (also, I’m partial to the sunflower-derived stuff). All the same, PS is a great brain health compound. More on Phosphatidylserine. Huperzine A – Semi-synthetic drug sourced from Chinese club moss, believed to inhibit acetylcholinesterase, the enzyme responsible for the breakdown of neurotransmitter acetylcholine. More on Huperzine A.
L-Glutamine – The most abundant amino acid in the body that might help maintain cognition for athletes & bodybuilders, but… ya, not much of a nootropic. More on Glutamine. Gotu Kola 4:1 Extract – Gotu kola does two things: 1) reduces anxiety, and 2) unlocks immortality — or so the story goes, as it’s one of the super antioxidant herbs ascribed to Li Ching-Yuen’s legendary longevity. More on Gotu Kola. Choline Bitartrate – Citicoline is a great cholinergic nootropic. Alpha-GPC is also great. Choline bitartrate is not — it’s unable to pass the blood-brain barrier. More on Choline. Of course, we’re not that old yet. At least not old enough for NOW Brain Elevate‘s ingredients to become a must, as much of its formula is for the older community. Even so, don’t discount these ingredients entirely — even the most devout DIY nootropic enthusiasts may find value in some of these ingredients, for instance: Ginkgo biloba is often advised for improving elderly cognition, yes, but it’s also great at enhancing working memory for young users as well. Gotu kola may also significantly alleviate anxiety for all ages, even though its antioxidant advantages primarily benefit older users. Having said that, there’s nothing wrong with adding more antioxidants to your diet. However, if you’re looking for acute boosts on focus, attention, memory, etc., then NOW Brain Elevate simply won’t cut it. In fact, even as an antioxidant neuroprotector for the elderly, Brain Elevate could improve its game — my suggestions: replace choline bitartrate with either citicoline or alpha-GPC and remove the rice flour for better dosages. With or without these improvements, NOW Brain Elevate should still earn your consideration, given its price value (see below). Now That’s What I Call a DEAL! NOW Foods takes the vegan approach to its supplements, stacking herbal extracts & compounds into vegan caps for clean, green manufacturing. While I’d prefer the sunflower-derived PS to Brain Elevate’s soy-derived stuff, I dig the trademarked LECI-PS®, as well as the RoseOx® extract. I’m not kidding, this product is absurdly cheap for how much you’re getting out of this formula: 120 capsules for a potential 120-day supply (although I recommend doubling the daily intake). A few ingredient choices have me scratching my head, such as the ineffective choline bitartrate and the unnecessary L-glutamine. Antioxidants are great and everyone should try to consume more, but the formula’s emphasis on brain health over brain enhance limits its target audience to the elderly. The dosages are all-around pretty bad, with exception to glutamine & gotu kola, strangely — this is why I recommend doubling the daily intake (perhaps taken at two different times). NOW Brain Elevate is backed by positive customer reviews mainly from older customers, although some 4- or 5-star reviews have leaked out of the younger users as well. I stand by my prescription: NOW Brain Elevate seems particularly beneficial to the elderly. You can buy Brain Elevate directly through NOW Foods or through various retailers, including Bodybuilding, Lucky Vitamin, & Amazon — who ranks Brain Elevate as an Amazon’s Choice product. NOW Brain Elevate’s dosages are low, but so is its price — whereas the customer reviews are high. So, uh… it’s a little complicated. Even so, I’d say: Yes, NOW Brain Elevate works for something. But I’m hesitant to qualify NOW Brain Elevate as a bona fide cognitive enhancing nootropic stack. It’s certainly a cognitive maintaining, or rather protecting, supplement, which is arguably more important than enhancement. At $0.20, I’d say that’s at least worth it.